A range of clothing and accessories that sharpens or tones down the sensory experiences of the wearer has been named the Grand Prix winner in the 2015 Lexus Design Awards. We bring you up to speed with another busy week in the world of diesel, it’s Diesel Car’s weekend round-up. 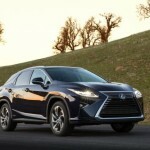 When Lexus introduced the original RX 17 years ago, it defined a new luxury segment. 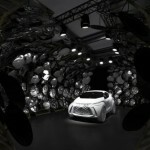 Visitors to Lexus’s new installation at Milan Design Week can look forward to complete sensory experience that will stimulate the eyes, ears, nose, fingertips and even the taste buds. 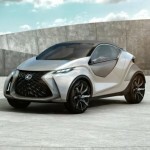 The new Lexus LF-SA concept makes its world debut today at the 2015 Geneva motor show. Here’s your chance to catch up on the week’s news from the world of diesel . It’s Diesel Car’s weekend round up. 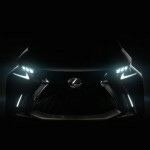 Lexus will reveal an all-new concept car, the LF-SA, at the Geneva motor show. As January prepares to enter the final furlong we pick out the top stories making the headlines for the week of 19th-23rd January 2015. It’s Diesel Car’s weekend round up. 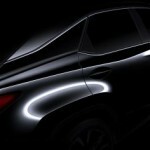 It is easy to spot a clean technology synergy between Resin Products’ business and its decision to choose Lexus hybrids for its first vehicle fleet.